Carrying his cross on the way to his death, Jesus said, “Daughters of Jerusalem, do not weep for me but weep for yourselves and for your children” (Luke 23:28). Indeed. I’m sure Trayvon Martin’s mother has been weeping of late (read more). So has the mother of Dalton Lee Walker, a twelve-year old boy who took his own life a few days ago because of bullying, and on the very same day the documentary film Bullying opened nationwide (read more about that here). If she could, Shaima al Awadi would be weeping, not only for herself but for her four children. But she can’t. She was beaten to death in her San Diego home with something like a tire iron this past week. Why? She’s Iraqi and Muslim (read more here). I’ve been reflecting this Lent on the powerful and poisonous confluence of male privilege and white supremacy – what it looks like, its effects, and what it will take to dismantle it for the full thriving of women and therefore also of the planet. Now that we have arrived to Holy Week, I believe those reflections have been rather foolish. Isn’t it just a fool’s errand to dismantle centuries of white male privilege? Yes, it is. And I am happily a fool to try. 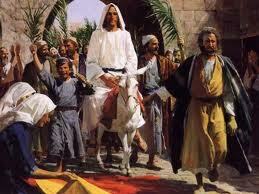 Palm Sunday this year, the beginning of Holy Week, is also April Fools’ Day. What a great coincidence for reflecting on the absurdity of marking with elaborate rituals these ancient, first-century stories – as if they mattered, is if they still speak today, as if they might actually change the world. I think the best way to journey through this holy week is to don a jester’s cap and embrace the foolishness of the whole thing. Here let me offer two reasons why. 1. Religion is always vulnerable to being co-opted by empire. In some ways, this is obvious, but far too often, not obvious enough. First century Palestine was an occupied province of the Roman Empire. Those political dynamics are reverberating throughout the gospel texts in ways most readers usually don’t notice. Put the story of Jesus into that context: He climbs on to a donkey, not a horse, and basically waddles into the city, not followed by soldiers but by the people. This is a moment of deep political mockery worthy of a 1990s-style ACT UP protest. The donkey didn’t even belong to Jesus – he had to borrow it. And the only armor his followers had were the branches of palm trees. If ever there was a biblical precedent for April Fools’ Day, this is it. Jesus was making a profound joke, but with a point: Don’t take Rome so damned seriously. Of course, and to put it mildly, one mocks imperial power at one’s own peril, especially when the very next thing you do is wreak havoc in the local IRS office, which is exactly what Jesus did with those money-changers’ tables in the temple – the prime location for religion’s co-optation by empire. This was an amazing leap forward for the liberation of women in the midst of a deeply patriarchal society – and not surprisingly, Rome did not look kindly on disrupting the configuration of the imperial household. Empires never look kindly on such things – not then, and not today. Sadly, that kind of religious critique nearly disappeared in the fourth century, when the emperor Constantine declared Christianity the official religion of the empire. So as we walk through Holy Week, we would do well to note that the State will always rely on religion to support its imperial power. At the very least, to follow Jesus into Jerusalem means that we must not remain silent about what happened to Trayvon Martin, Shaima al Awadi, and Dalton Lee Walker. Let me count the ways. St. Paul, no less, wrote that the cross of Christ is just foolish, a stumbling block, silly – and therefore the wisdom of God (1 Corinthians 1:18-25). I won’t pretend to know what Paul really meant by that or to understand it. But there’s a huge elephant sitting in most “liberal” or “progressive” Christian living rooms – the doctrine of atonement. And that doctrine is lurking around every corner of the rites and stories of Holy Week. I read recently that one of the key reasons why younger generations stay away from Christian churches is the trouble they have with that doctrine. I have trouble with it, too! But I’m troubled mostly by how just one view of it has dominated American culture. Especially during this week, I think it’s important to remember that there is not just one such doctrine of atonement in Christian history or even in the Bible; there are many. 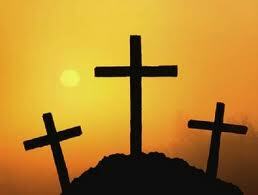 And there are also many other ways to reflect on the significance of the Cross quite apart from notions of atonement. That said, I believe reflecting on judgment, atonement, and forgiveness is essential for our 21st century life, but those topics have been so twisted and distorted as to make that task nearly impossible. Let’s set that aside for a moment and consider something equally foolish. I find it helpful to think about Jesus in this holy week as the radical companion. In that way I believe Jesus reveals something truly astonishing about God – the God of solidarity. If you want to find God you could, of course, look anywhere, but you might want especially to look among the poor, the misplaced, the homeless, the suffering, and the grieving. You might especially look among all the victims of imperial power. That’s how I read the Bible. Earlier in Luke’s gospel, in the Transfiguration story, the disciples of Jesus are discussing the “departure” that Jesus must undergo in Jerusalem. That word translated from the Greek as “departure” is εξοδον. That’s the very same word that Greek translators of the Hebrew Bible used to refer to the exodus of the ancient Israelites from slavery in Egypt – yet another empire. I cannot believe this is just a linguistic coincidence. Remember, Moses fled Egypt only to return in a decision to engage in radical solidarity with his people, to set them free. Here I believe Luke is inviting us to see in Moses and now also in Jesus that the same passion for solidarity belongs first and foremost to God. Jesus models this with the choice he made about his own life. He could have, for example, chosen the path of a Levitical warrior to liberate his people by force from Roman occupation. I say “Levitical” warrior because the culture of tribal warfare from which that biblical book arose was constructed on an economics of patriarchal masculinity in which topping one’s enemies – with violence, if necessary – demonstrated covenantal faithfulness. But Jesus chose instead to follow the path articulated by the prophet Isaiah. In that book, the Levitical warrior becomes the “suffering servant,” and rather than topping one’s enemies, that servant leads all the nations instead to God’s holy mountain where they learn war no more and beat their swords into ploughshares (Isaiah 2:4). Indeed, Luke has Jesus quote not from Leviticus but from Isaiah at the beginning of his ministry: “God has anointed me to proclaim good news to the poor, release to the captives, and freedom for the oppressed” (Luke 4:18-19). Both Moses and Jesus chose the path of radical solidarity, not for the sake of suffering but for the sake of freedom. The God who enters our struggle with us does so to lead us out – from death to life. I believe that’s exactly what Luke’s Jesus meant when he said this incredibly foolish thing: “Take up your cross daily and follow me.” If we live for ourselves alone, we will die; if we live in solidarity with others, especially the vulnerable, the poor, the fearful, the oppressed, and the suffering, we will live – both in this life and the life to come. That’s the remarkable path Jesus blazed for us to follow – surely for the sake of Trayvon, Shaima, and Dalton Lee, among so many others. But do note: That path is costly. It comes with great risk. It is thoroughly foolish, not least because we will have to give up much to do it. But if we do, that path leads to unimaginable life. May this week change all us so that we can, with God’s amazing grace, change the world. I know. That’s just foolishness…..and thank God for it.